Stranger Things Season Three Trailer Has Arrived, Watch The Action Inside! - T.V.S.T. Stranger Things Season Three Trailer Has Arrived, Watch The Action Inside! 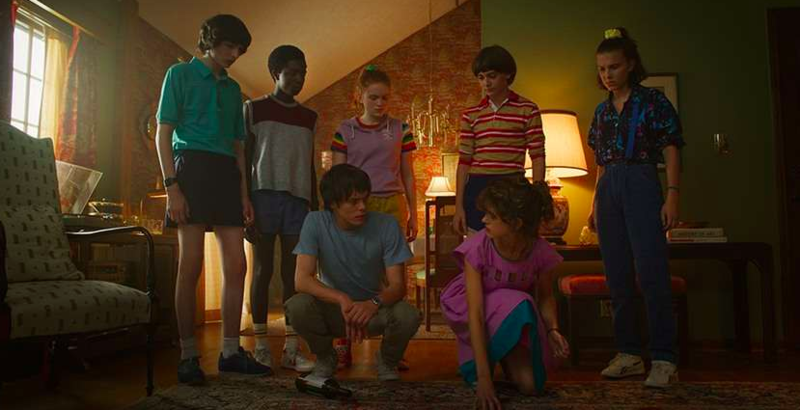 Stranger Things is coming back to us all on July 4, 2019, and Netflix gave us a little taste of what to expect when it returns by dropping the first trailer for season three. As always, Stranger Things knocked it out of the park with the soundtrack. If the trailer is any indication, this new season will be filled with some more classic hits. And you see them experiencing the world a little more in this trailer. They go to the mall, the public pool, the fair, etc. You know, normal things teens might be doing in the ’80s. This trailer also assures fans that Steve and Dustin are still friends, which is great for the audience, but a little weird for Steve’s new co-worker/crush(?) who doesn’t seem to understand why he’s friends with so many kids. Bow Wow Tries To Make A Move On Angela Simmons, But Uh...IT DIDN'T WORK OUT! Post Malone Treats 'Wow' Viral Dancer To VIP Treatment And Puts Him In His Music Video!